K-9 Officer Casey Walsh and K-9 Sergeant Erica Hay park their patrol vehicles in front of the fire-damaged apartments as they walk the perimeter of the complex. Ocala, Florida — Citizens of Ocala that wanted Spring Manor Apartments shut down, might soon get their wish. Back in June, Ocala Post was the first to tell you about the possibility of the City of Ocala filing a Nuisance Abatement Order. Well, the city did just that; however, Spring Manor property owners failed to comply with the stipulations agreed to in the order. A nuisance abatement, as a legal term, is a condition or use of a property that interferes with neighbors’ use or enjoyment of their property, endangers life, health or safety, or is offensive to others. Because of the harm they do to others, Florida law authorizes local governments to use their police powers to compel the owners of nuisance properties to correct those conditions. If the owner fails to do so, the municipality can step in and correct, or abate, the conditions itself. A nuisance abatement also applies to properties overridden with criminal activity, including high traffic drug and prostitution areas. In some instances, judges have ordered properties (such as motels and apartment complexes) to cease operation. Ocala Police Chief Greg Graham wants the complex cleaned up. The property owners did not comply with any of the orders. The city has now filed a lawsuit for the purpose of enforcing the Nuisance Abatement Order. The lawsuit would also require inspections of the apartment complex and possibly eviction of many that live in the complex. Reportedly, some residents pay as little as $50.00 a month for rent. Officials said — even at $50.00 a month — many resident are behind on their rent, but have not been evicted. In addition to the lawsuit filed by the city, the Ocala Police Department billed the complex for excessive use of man power. If the owners fail to pay, the city could place a lien against the property. In the past several months there have been multiple shootings in the complex, and many times Ocala police have had to increase police presence in the area. 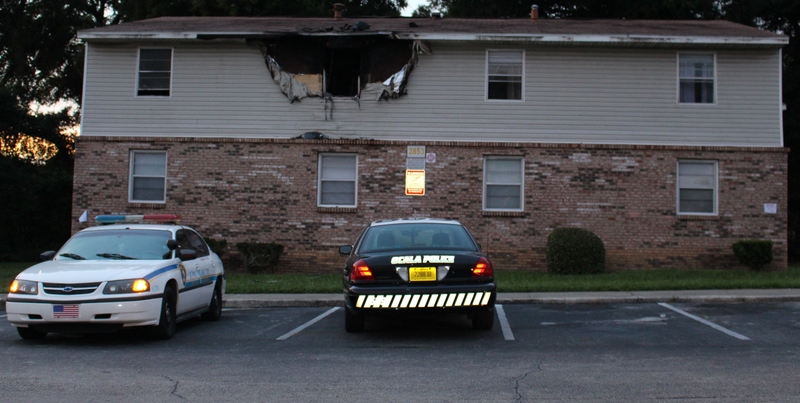 In July 2014, following an arson and shooting, K-9 Officer Casey Walsh and K-9 Sergeant Erica Hay parked their patrol vehicles in front of the fire-damaged apartments and walk the perimeter of the complex all night. If the owners of the complex continue to ignore the order, the complex risks being shut down. Ocala police said the complex is overrun with drugs, prostitution, and other criminal activity, and it needs to be halted. The lawsuit was filed on January 20, and is being handled by City Attorney Patrick Gilligan, with Judge Lisa D. Herndon presiding. While citizens are glad the city has taken action, they are also worried that the element might “spill over” into their neighborhoods if residents are forced to leave the complex. Spring Manor Apartments is not the only complex with these types of issues in the city; however, it is statistically one of the worst. Parkside Garden Apartments also rates as one of the worst complexes in the city, right behind Spring Manor. The outcome of the lawsuit has yet to be determined. Ocala Post will keep you updated on the situation.